Frank Leslie Stillwell was born on 27 June 1888, in the family home at Hawthorn, an outer suburb of Melbourne, Victoria. He was the seventh of eight children to Alfred and Mary Eliza Stillwell (nÃ©e Townsend) and was the youngest son. His father was a printer and his grandfather, John Stillwell, who arrived in Australia from London in 1855, had also been a printer. Both parents of the grandfather were of Huguenot stock and were silk weavers in London. In his youth, Frank Stillwell, as were all his brothers and sisters, was encouraged to work hard at school, and he was given every chance by his parents. It is remembered that as a boy he was well-liked but was delicate and suffered several illnesses, out of which he grew to enjoy college life in later years. His ailments were chiefly to do with his lungs, and his 17 months as a young man in Antarctica finally cleared them up. He attended the Auburn State School from 1893 to 1900, and later Hawthorn College to which he won a scholarship. It was from Hawthorn College (a school which no longer exists) that he won an exhibition of £40 and went to study at Melbourne University in 1907. He elected to study Science but included Mining Engineering in his course also. He held a resident scholarship at Ormond College, one of the affiliated colleges of the University of Melbourne. In his university years, Stillwell gained several prizes, holding the Caroline Kay Scholarship, a Government Research Scholarship, and the Kernot Research Scholarship. After graduating BSc with First-Class Honours at the Final Examination in 1911, he worked for his Master’s degree on the geology of a local region (Broadmeadows) in which he showed a growing interest in the microscopical and chemical aspects of rocks and minerals. A few years later, and in fact after the minimum time had elapsed for the attainment of this high honour, he obtained the degree of Doctor of Science with a thesis on ‘The Metamorphic Rocks of Adelie Land’, and in 1919 he won the coveted David Syme Prize for scientific research in Australia-wide competition. After graduation he joined the Australasian Antarctic Expedition (1911-14) as geologist, and spent 17 months in Antarctica under the leadership of Douglas Mawson. He was stationed at the Main Base at Commonwealth Bay, Adelie Land, and during the summer season of 1912-13 was leader of a three-man team which surveyed 50 miles of the coast line east of Commonwealth Bay. It was on this assignment that he collected and studied in the field the metamorphic rocks which were described and discussed in his report, published in 1918, in which he propounded the concept of metamorphic differentiation in order to explain contrasted mineral assemblages which were formed during metamorphism from an initially uniform parent rock. On returning from Antarctica early in 1914, he went to Adelaide as Acting Lecturer in Mineralogy during 1914 and 1915. After enlistment in 1916 with the Australian Military Forces, he was withdrawn from the Army to assist in the newly-developed Commonwealth Advisory Council of Science and Industry, which was later to develop into CSIR/CSIRO. Stillwell worked with the Advisory Council until 1919, conducting detailed studies on the occurrence of gold in the Bendigo mines on behalf of the Gold Research Committee which had been set up under the Council. His papers on the Bendigo gold occurrences cover detailed studies in the mines and in the laboratory, which demonstrated the association of gold with particular geological structures and with certain minerals, and his theories concerning these. From 1919 to 1921, he worked at Broken Hill, New South Wales, as assistant geologist under the direction of Dr EC Andrews, of the Mines Department of that State. Dr WR Browne, doyen of Australian geologists today, and Frank Stillwell both made petrographic studies of the country rocks surrounding the Broken Hill ore bodies, but the two young geologists did not agree as to the origin of those rocks, and a controversy developed therefrom. On completing his work at Broken Hill, Stillwell returned to Victoria as staff geologist to the Bendigo Amalgamated Goldfield Company, but during 1922 and 1923 he visited mining fields in Europe, South Africa and the United States of America. This overseas tour, which was made at his own expense, brought to his notice the developing subject of Mineragraphy, that is the study of opaque minerals and particularly the ore minerals in polished section under the reflecting microscope. On his return to Australia and his assumption of the first Research Fellowship of the University of Melbourne, he began his mineragraphic studies of Australian ores, working on the Broken Hill deposits. This work immediately revealed the economic as well as the scientific potentialities of the study of polished ores, for, in particular, he was able to locate, in the form of minute dispersed particles, a good deal of the silver content in the galena in the Broken Hill lode, which he demonstrated was present in the form of the mineral dyscrasite. As a result of these findings he was appointed Research Petrologist to the newly formed Council of Scientific and Industrial Research in 1927. Extending his sphere of interest, he visited the West Australian gold fields and re-mapped the Kalgoorlie field in 1927 and 1928. Here he joined geological and mineralogical work in the careful examination of the rock types in order to discover the relationship between their emplacement or alteration, and the emplacement of the gold-bearing ores. This brought together an array of data which hitherto had been treated separately and drew attention to the possibility of the extension of the Kalgoorlie field into areas where similar geological conditions could be demonstrated to exist. It was largely as an outcome of Stillwell’s findings that further exploration and development was stimulated, and the Kalgoorlie field was revived and extended. On his return to Melbourne, Stillwell continued work on the Kalgoorlie telluride ore minerals, publishing an important paper on them in 1931. From 1929 until his retirement at the age of 65 in June 1953, he was in charge of the Mineragraphic Section of CSIR (later CSIRO) which was housed in the University of Melbourne adjoining the Department of Geology. For many years he took the courses in mining geology for the advanced students for Bachelor of Science and Bachelor of Mining Engineering, and also gave instruction in mineragraphy in the laboratory, where many of the Melbourne graduates who are now working throughout Australia first met him. He was a patient teacher if somewhat pedantic, and, in order to appreciate him, it was necessary to recognise his reliance on logic, clear thinking and skill in the application of techniques. He never gave up an idea without a fight, and perhaps his conservativeness at times caused him to cling to an outmoded idea. But indeed the range of his work and its importance had been such that he was in the field of ore mineralogy and mineragraphy the undoubted leader in this country and a major figure in the world. Under his direction, ores, mattes, slags, spiesses and mill products from all over Australia were investigated, with results of great economic importance particularly in regard to tracing the causes of losses in mineral recovery of gold, copper, lead, zinc, tin and other ores and thus in checking the efficiency of mineral separation methods used by the mines. Nearly every major ore deposit and many smaller occurrences in Australia were investigated by Stillwell and his associates in the Mineragraphic Section. 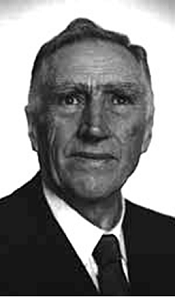 During his retirement he was appointed consultant to the Broken Hill Geological Committee, and continued his work with Broken Hill rocks and minerals. His last paper on these was published in 1959, 37 years after his early work on the Broken Hill district. In all, Stillwell published 68 scientific papers, dealing in later years chiefly with mineragraphy. To honour his seventieth birthday, the Stillwell Anniversary Volume was published in 1958 by the Australasian Institute of Mining and Metallurgy. He died in Melbourne after a short illness on 8 February 1963, in his 75th year. Stillwell was a member of the Royal Society of Victoria from 1910 until his death, and of the Australasian Institute of Mining and Metallurgy from 1921. In both these bodies he played an important role. He was a member of the Committee of the Victorian Branch of the Australasian Institute of Mining and Metallurgy for several years and at one time its Chairman. In the Royal Society of Victoria he was Councillor from 1929 to 1963, Honorary Secretary from 1929 to 1947, Vice-President (1949-52), President (1953 and 1954) and Honorary Editor of the Society’s Journal from 1956 to 1963.